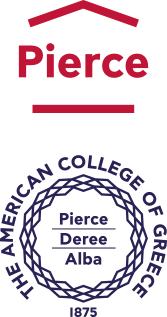 providing small, student-centered classes led by dedicated, professionally trained instructors. 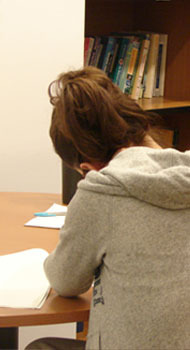 The Writing Program includes three levels of full-time courses on academic writing. Each writing course has a thematic focus used simply as a vehicle to structure thinking and writing. All courses are offered for three (3) graduation credits. This course introduces novice academic writers to the reading and writing skills central to academic discourse. They engage critically with contemporary issues through college-level readings of appropriate length for developing academic writers. They practice analytical reading skills, objectively presenting the arguments of others, and critically responding to texts with their own arguments. This course will help students practice and expand the academic writing skills acquired in WP 1010. Students will continue to develop rhetorical knowledge and critical thinking skills through exposure to lectures and readings on ethical issues co-taught by faculty from the Philosophy program. A variety of texts such as fiction, non-fiction, visual, and web-based will hone the student’s reading, writing, rhetorical, analytical and synthesizing skills as applied to frequent informal writing exercises in addition to formal revised writing assignments. Sections may vary in theme. This course offers students the opportunity to consolidate and apply the core academic writing skills acquired in WP1010 and WP1111 in a new context: academic research writing. As the final course in the Writing Program series, this course prepares them for the discipline-based writing in their major. Students are introduced to the kinds of specialized writing encountered in different academic disciplines and learn the standards, genres and conventions of academic writing and research by discussing and employing them. Incoming students are placed in WP1010 if they demonstrate proficiency in English. Applicants, who do not qualify for WP 1010 but who otherwise show academic promise, may be placed in the English for Academic Purposes Program.